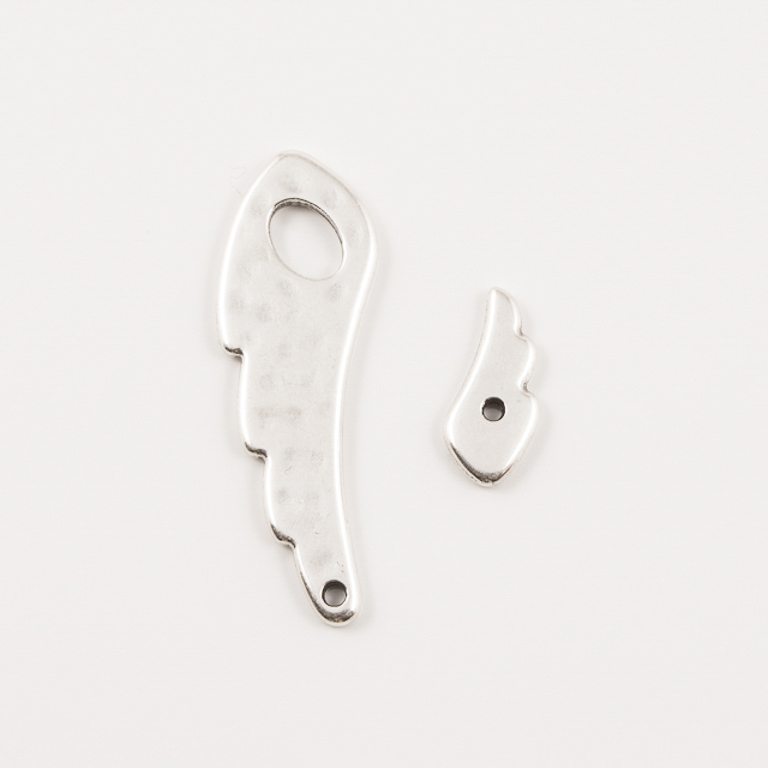 Metal clasp with bar in wing shape and silver color. Ideal for decorating item on a bracelet creation. Dimensions 3.7x1.2cm.